Learn to be fearless in your landscape painting. 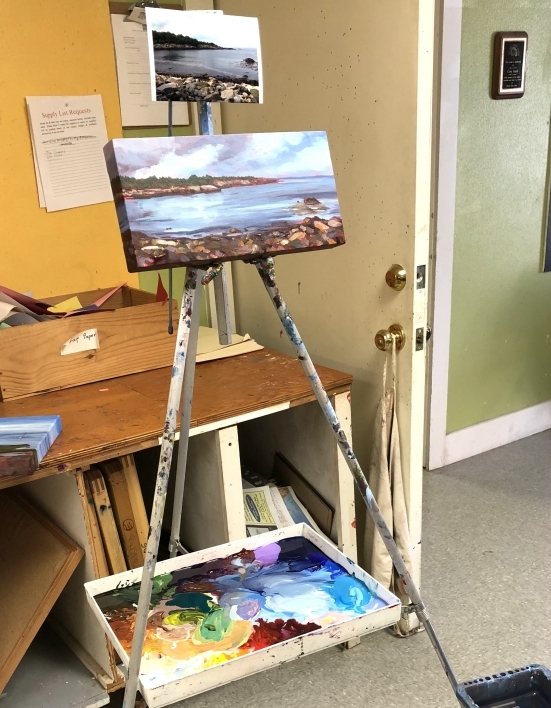 Six weeks of studio landscape painting in acrylics working with reference photos to paint what you see with glowing color and light. We will explore simplifying your subject, using drawing for strong compositions, developing seeing skills, learning or refreshing some basics, having fun with painting and loosening up with your work. Each class will start with a brief demo on the topic of the class. Students will paint in each class from provided reference photos or from their own photo. Individual feedback and class discussions of work will help to strengthen painting skills. Materials list provided.